Are you thinking of buying a brand new house? If your dream home includes new construction, a Homes for Heroes real estate specialist will connect you with a Homes for Heroes affiliated real estate agent with expertise in new development. As you start your home search, here are eight things to think about when buying new construction. Before you begin looking at houses, it is crucial that you know how much money you can afford on a home purchase. Your Home for Heroes affiliated loan officer is an expert in the different loan programs for which you might qualify. Some of these loan programs, such as FHA and VA programs, require little to no down payment. Your lender will find the best loan for your particular financial situation. The lender uses your financial information to determine how much money you can borrow for your new home, as well as the interest rate and repayment terms. Keep in mind you’ll often be approved for more than you can truly afford. Don’t go over your budget, and do your best to not max out the loan. The pre-approval letter details the loan information and is a guarantee that you’ll get the loan as long as nothing changes with your financial situation. Along with giving you a purchase amount to work with, a loan pre-approval helps you negotiate with a seller because pre-approval shows that you’re a serious buyer. Once you have your loan pre-approval letter, it is time to start looking at neighborhoods. Think about what kind of community you want for your family. Do you want a physically active lifestyle? If so, a new housing development with amenities like swimming pools, basketball courts, and a fitness room should be on your list. Are schools important? Take the time to figure out what you want in your new community. There is a wide variety of housing developments to choose from, and you should be able to find the ideal one to make your home. A significant difference between purchasing new construction versus an existing house is that you have the opportunity to research the builder behind the new development. As with anything in life, some builders stand above their competition. How do you find out about the reputation of a specific builder? Fortunately, the internet makes it easy to learn about the stature of a developer in your area. Reviews can be biased, so make sure that you don’t let one overly opinionated review sway your decision. In addition to using the internet to research a specific builder, there are a few other tried and true ways to find out about the builder. Your real estate agent is an expert on new construction in your area and can offer lots of valuable advice. Attend open houses in the neighborhood. Savvy buyers also recommend that you go to a development that you’re considering and talk with homeowners about how satisfied they are with their new home. Don’t be afraid to knock on a few doors. You might be meeting your future neighbors. While you’re exploring communities, keep in mind that the area is still developing and some features, such as views and amenities, are in flux. The completed product may look very different. If you love the mountain view from a homesite, for example, make sure that the site will have it when finished. Perhaps the best advice when looking at model homes is not to fall in love with the model. Remember that the model often includes significant upgrades and professional interior designing. In short, the model is designed to make you fall in love. Resist this emotional reaction and concentrate on the basics of the house instead. Does the house meet your requirements regarding size and layout? Do you like the standard features that come with the house? For example, granite countertops and wood flooring is often an upgrade. Choosing too many costly upgrades can turn your affordable home into something that is outside your budget. Along with the inviting model, developers also landscape the yard in their model homes. For the most part, the grass in the backyard is often not included in the finished house. Find out what kind of yard-scaping is included in the sale so that you aren’t surprised on move-in day. Landscaping is an area that is sometimes negotiable as part of the sale. 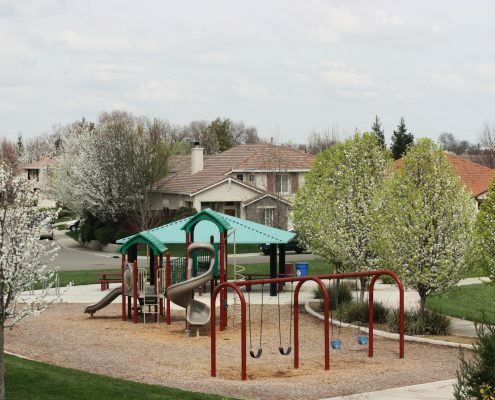 Homeowner Associations are a fact of life in many new developments. You’ll pay a regular fee for services and insurance. It’s vital that you pay attention to the fine print in any homeowner association contract because, in addition to services, the association might control things like the color of your house and the type of landscaping that you choose for your front yard. You’ll be most comfortable in a community with a homeowner association that fits your personality and needs. If, for instance, you want the freedom to decorate the outside of your house however you choose, you’ll want a homeowner association that allows residents that freedom. 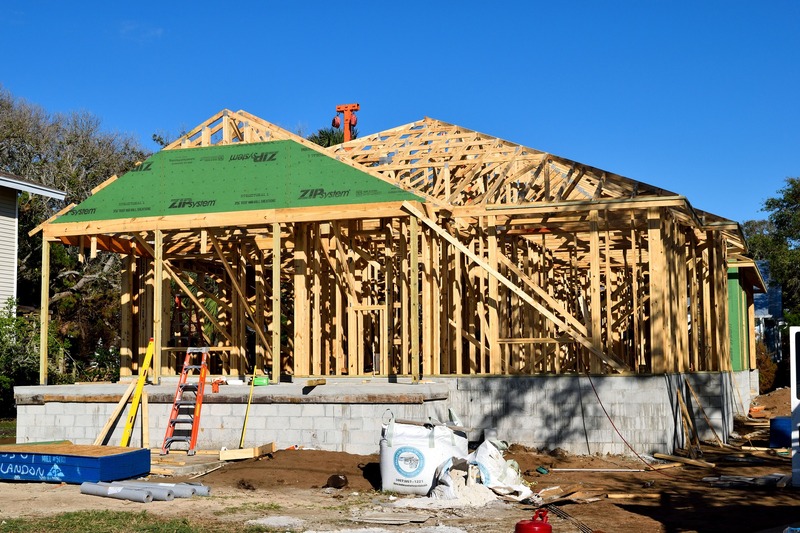 New construction is often not finished when you purchase your home. You might not know the exact date of completion. The purchase contract usually specifies a time, but it may change based on unforeseen factors such as weather. Will your family have a place to stay if the home is not ready on time? Your brand new home might experience problems after you move in. Construction defects sometimes don’t appear until months after you move. Home systems, such as the air conditioner, are costly to replace. Protect yourself from potential repair costs by purchasing, if it is not complimentary, a home warranty. Home warranties vary in what they cover, so scrutinize your warranty before the completion of your purchase contract. Pro Tip: Some appliances will come with a warranty themselves-double check so you don’t pay for something that’s not needed. In closing, the decision to purchase new construction is exciting and takes a little extra effort on your part. Homes for Heroes can’t wait to help you locate and buy the new construction home of your dreams.